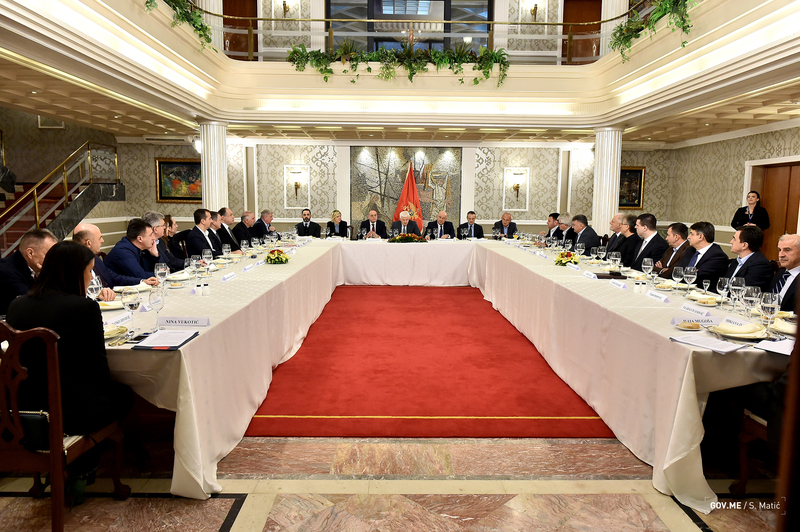 Podgorica, (MINA-BUSINESS) – It was concluded at a meeting Prime Minister Dusko Markovic had with the most successful entrepreneurs in Montenegro that the excellent results achieved by Montenegrin Government and the reforms it had carried out paved the way for further development of the business sector, job creation and improvement of the quality of life. Markovic reminded of a 4.9 percent economic growth Montenegro had seen in the first nine months of 2018, saying that it had been among the fastest growing European countries in that period. According to a press release issued by the Government’s Public Relations Service, he also recalled the fiscal consolidation results. Markovic said that a similar growth rate has been planned for this year, adding that the authorities would intensify their activities aimed at countering the informal economy, while amending the legislation for the purpose of boosting competition, eliminating business barriers and improving the efficiency of administration. He underlined the importance of a consistent implementation of laws, saying that some of the challenges faced by the entrepreneurs originated from bad practices and inadequate application of rules. The entrepreneurs said that the Government had done a lot in terms of improvement of the business climate, adding that certain challenges that must be addressed were still present.